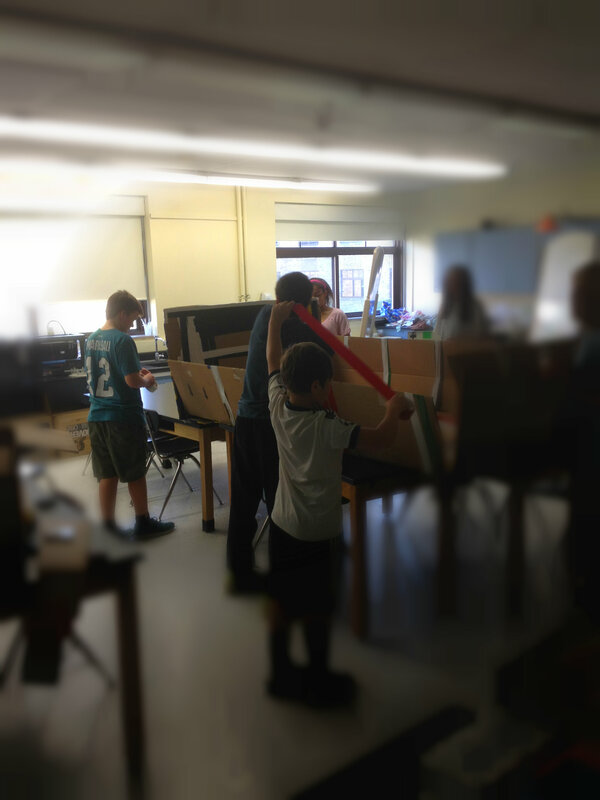 The goal of this project was to create a functional boat using only cardboard and duct tape. I worked with Will Paskowski, Kennedy Outlaw, Jeanie Granahan, Sam Markoe, Patrick Flynn and Luke Corpina on the design and construction of the boat. Our team consisting of 8th graders will compete in a race against high schoolers and 7th graders participating in the same project. Two members of the team will row the boat and compete for bragging rights and a pizza party. The project was completed in Mr. McIntosh’s 9th period challenge lab class.